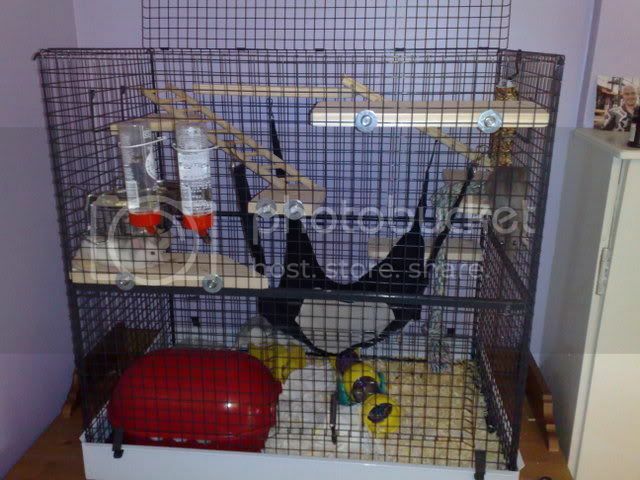 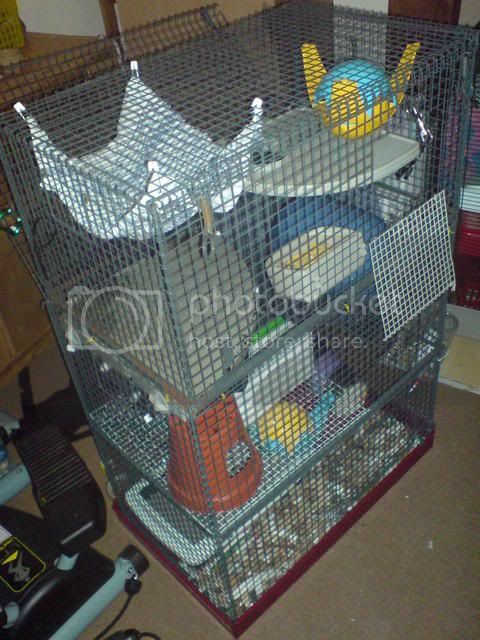 Well, these are pics of my current cage... 6 babies and 1 adult. 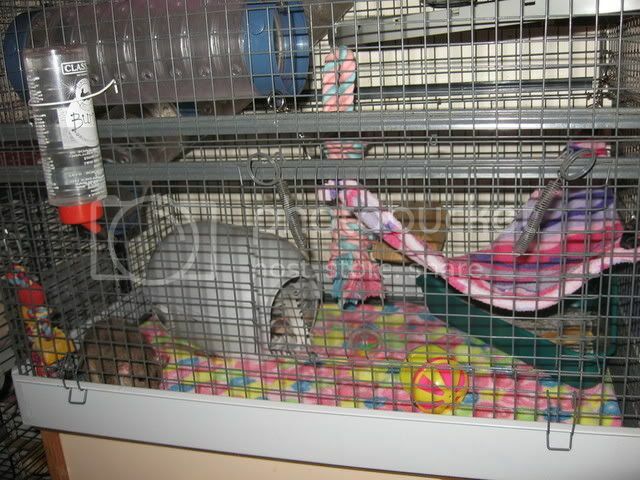 All are sleeping peacefully apart from one (Thursday). 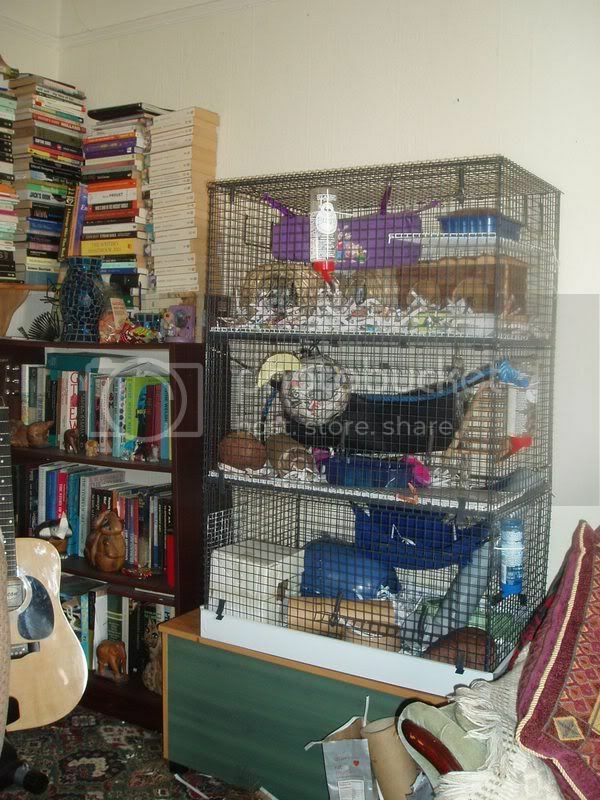 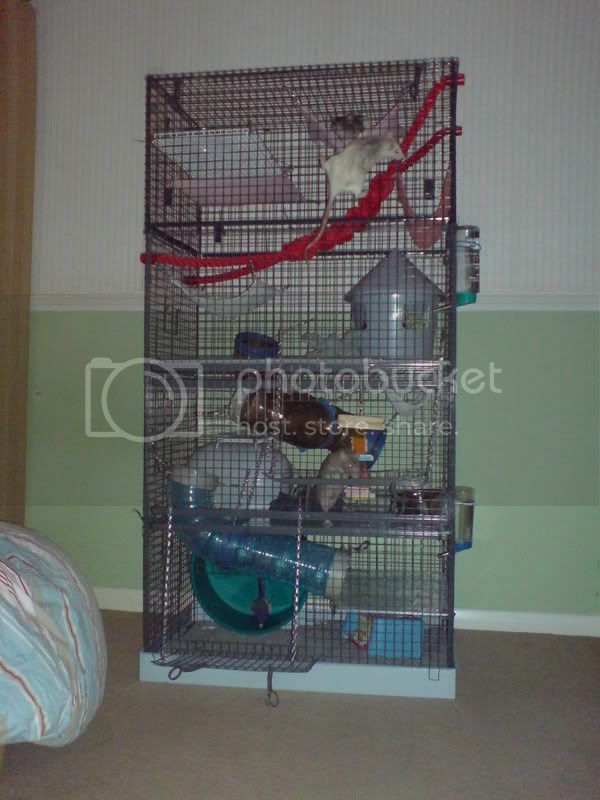 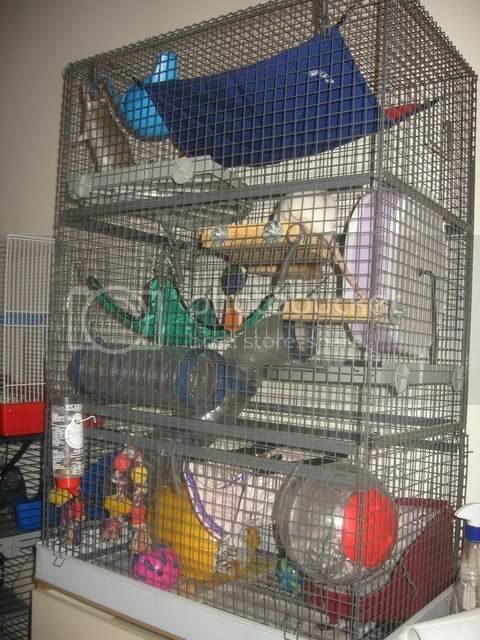 Next month i'm getting another super duper large cage and wiring the two together for double the space! 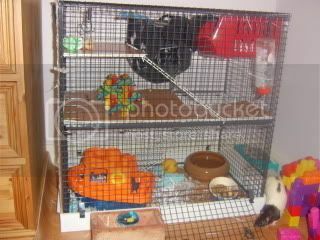 I also use perspex to cover the wire floor... which is so easy to clean and keep their little tootsies safe. 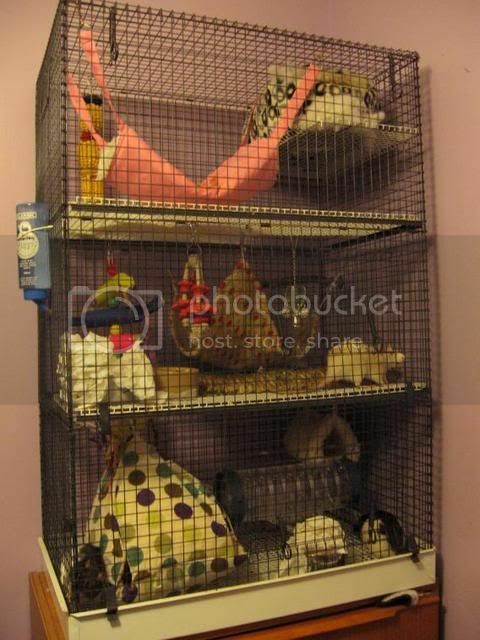 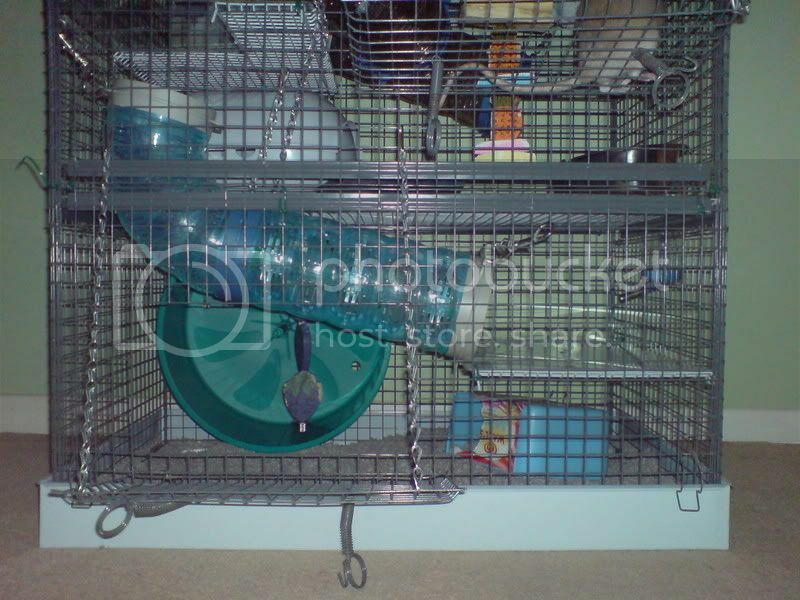 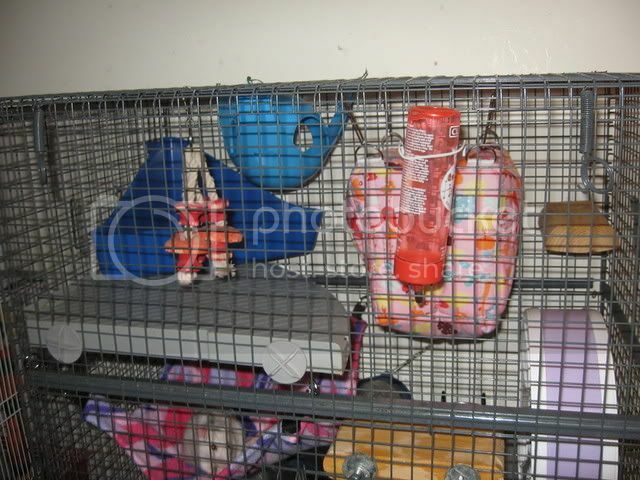 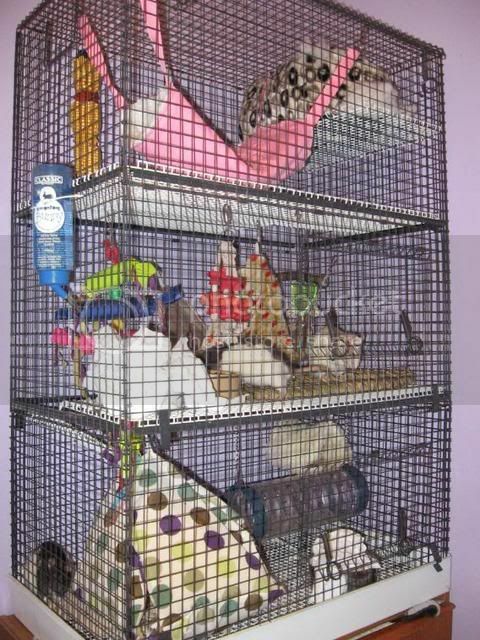 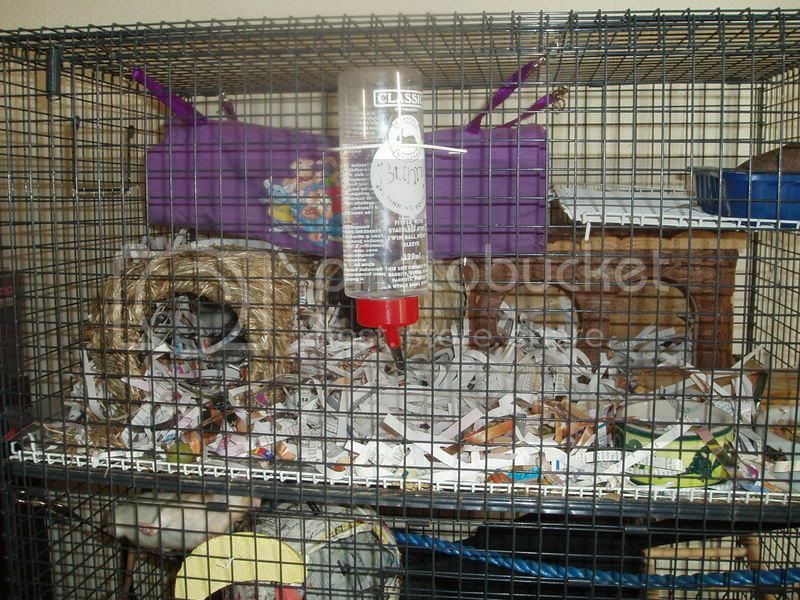 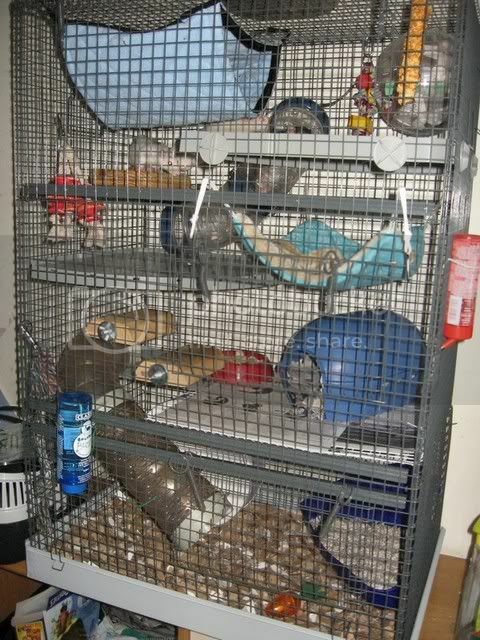 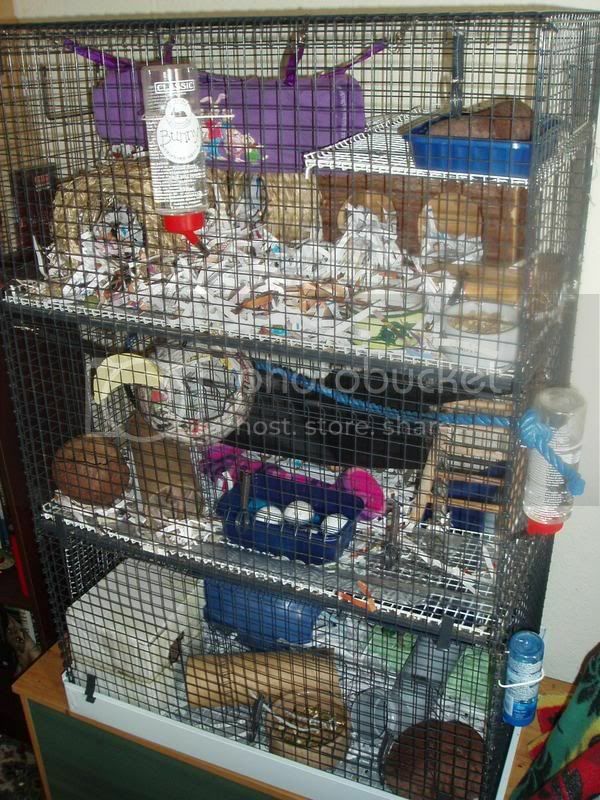 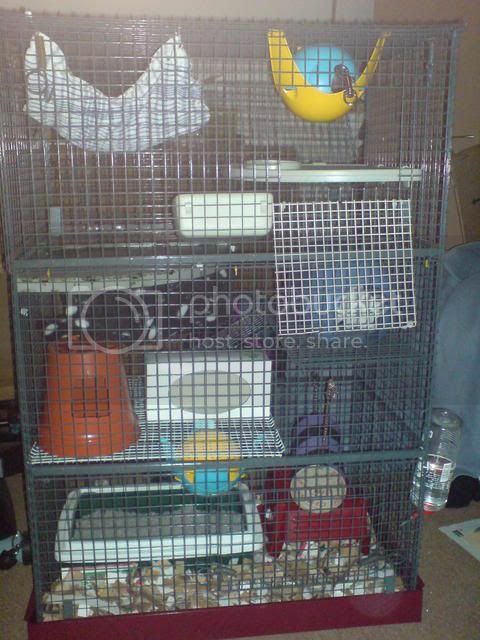 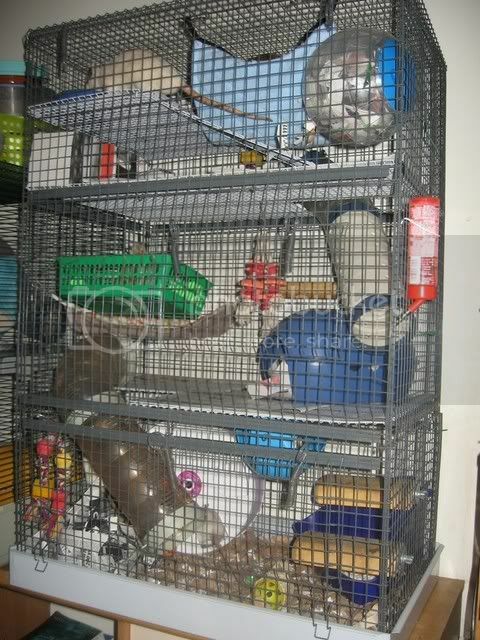 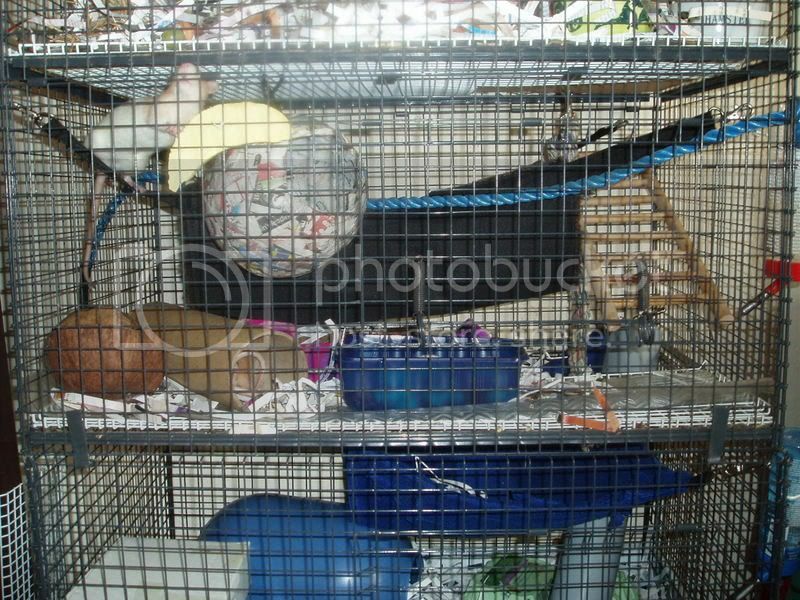 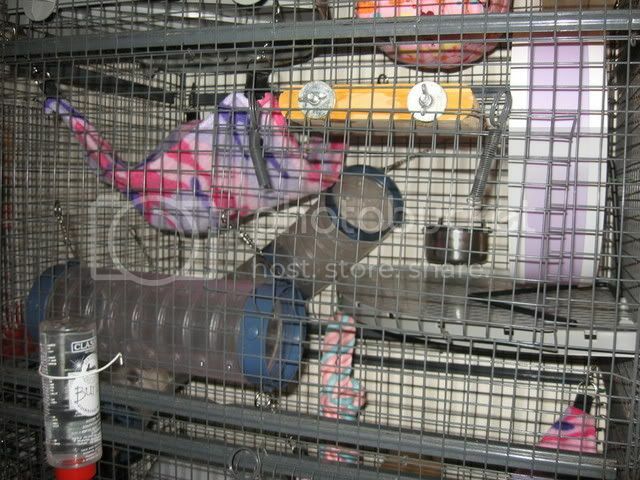 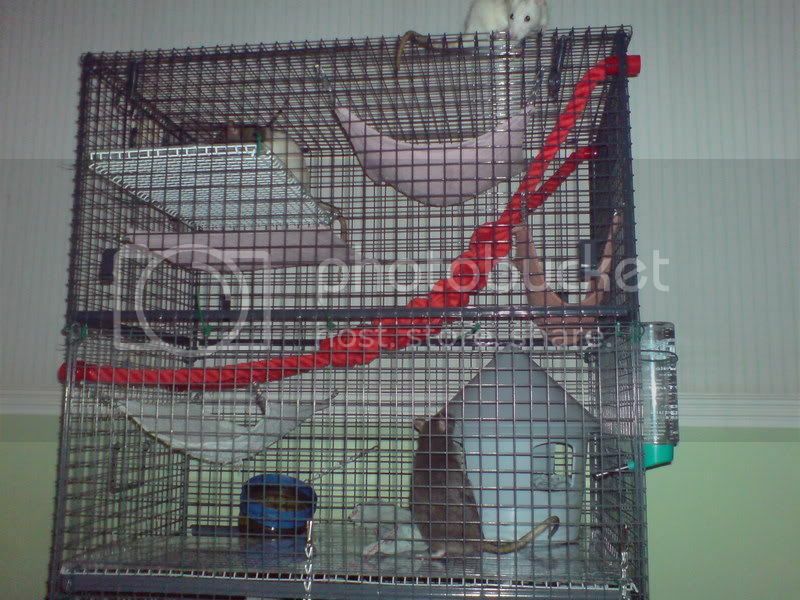 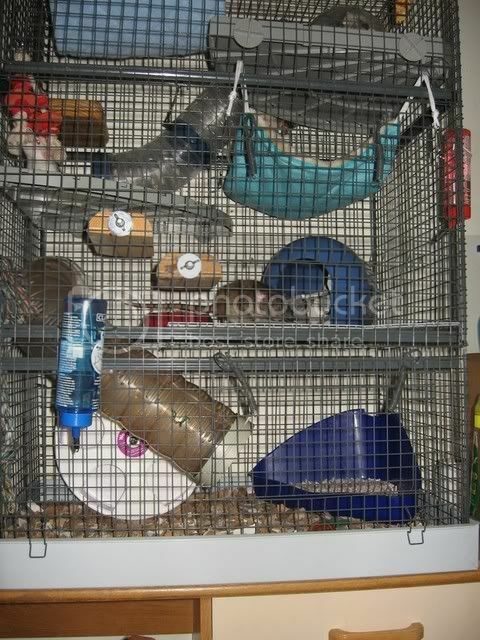 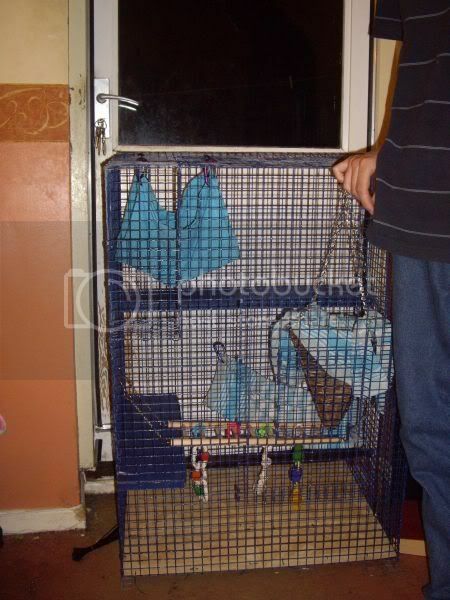 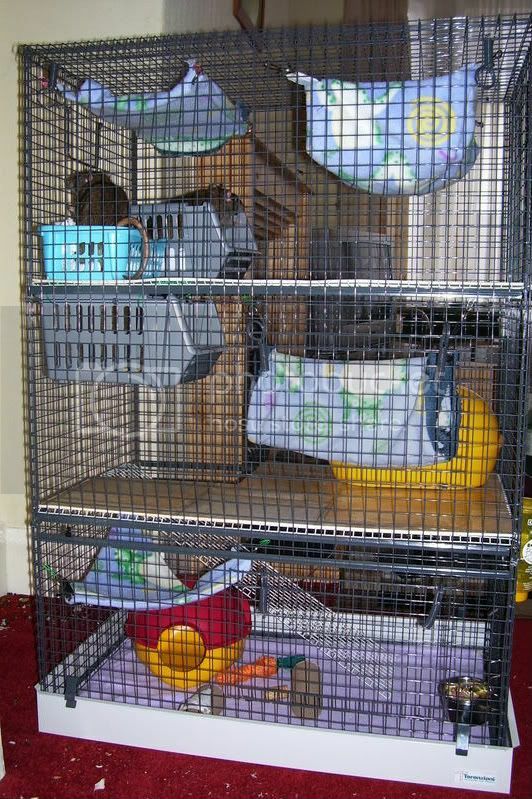 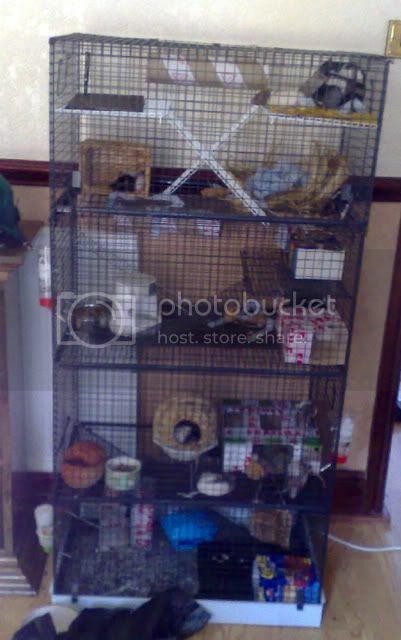 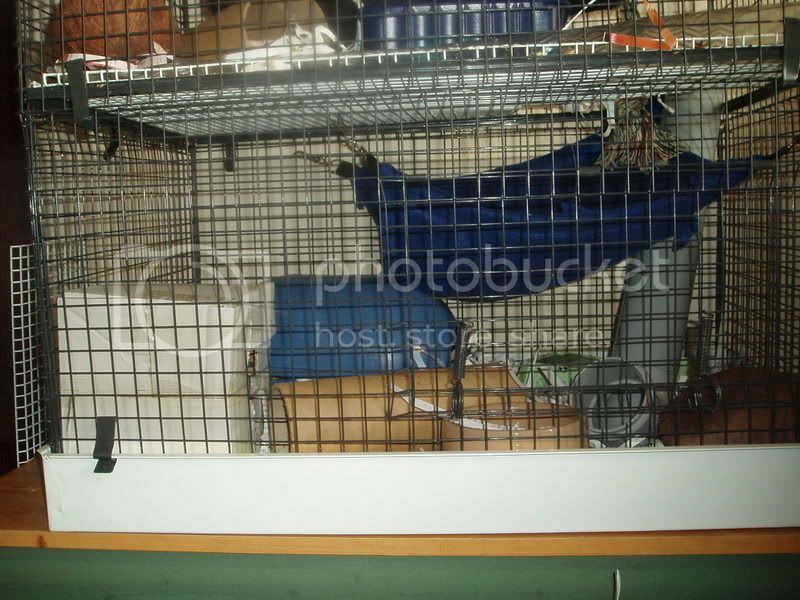 Okies ive just finished setting up my cage and here is what is in it so far-i havent put the dishes or bottles in as they are going in last. 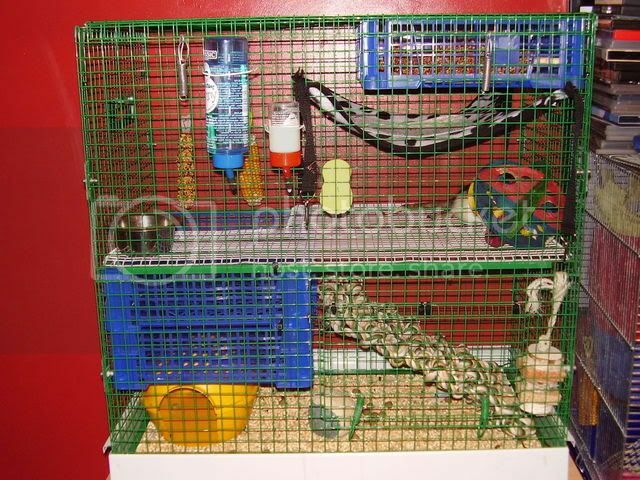 I seem to have misplaced my rope! 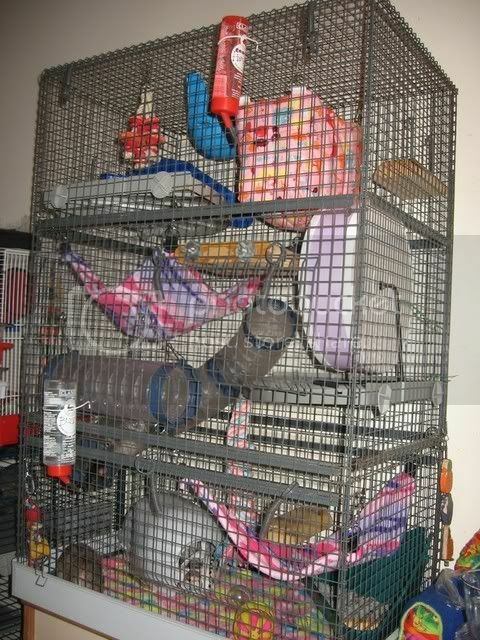 My Critter "4" back together. 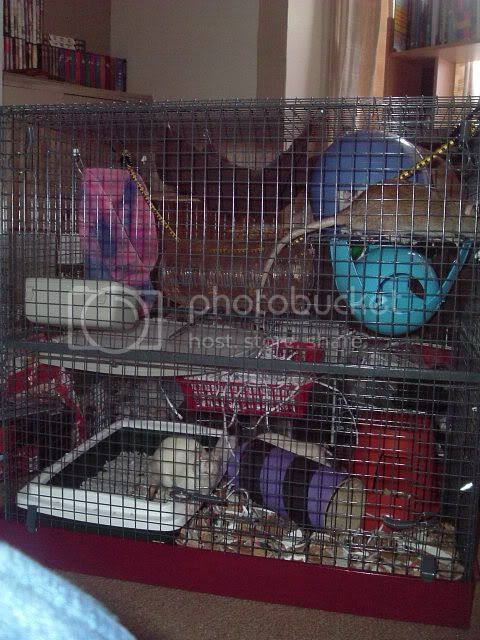 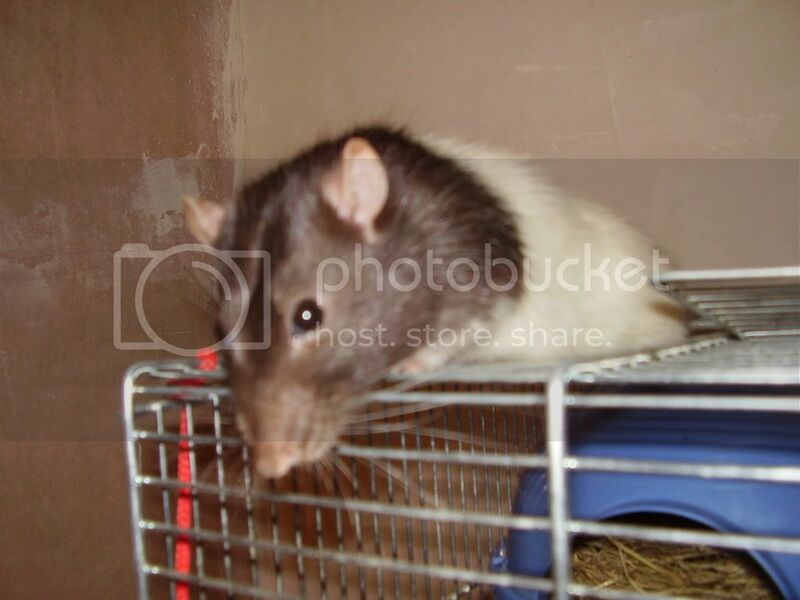 Jessalina wrote: Since the boys have moved to a new cage, I've put the girls into their old Tom, and if Midge doesn't start eating it (please Jesus!) 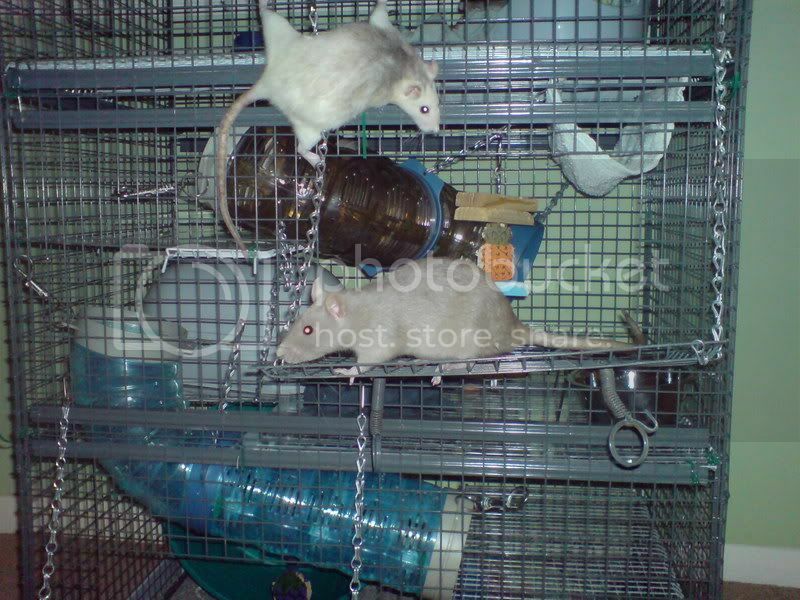 they can stay there and I'll never have to deal with that Critter again. 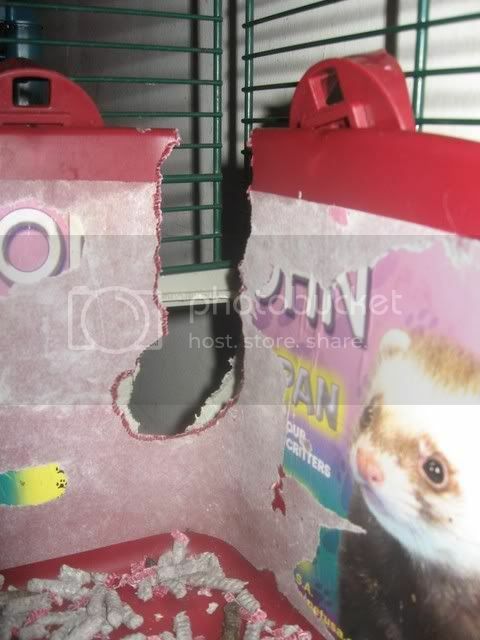 If she does start eating it I might cry.